I’ve had a long-time love affair with mint. As a little kid, my family and I went to visit some friends. One evening, I remember trotting out back and helping her gather a big bunch of mint. We headed back inside, and I got to carry a handful of mint. That scent. Bright. Mind-clearing. Alive. And zippy fresh. 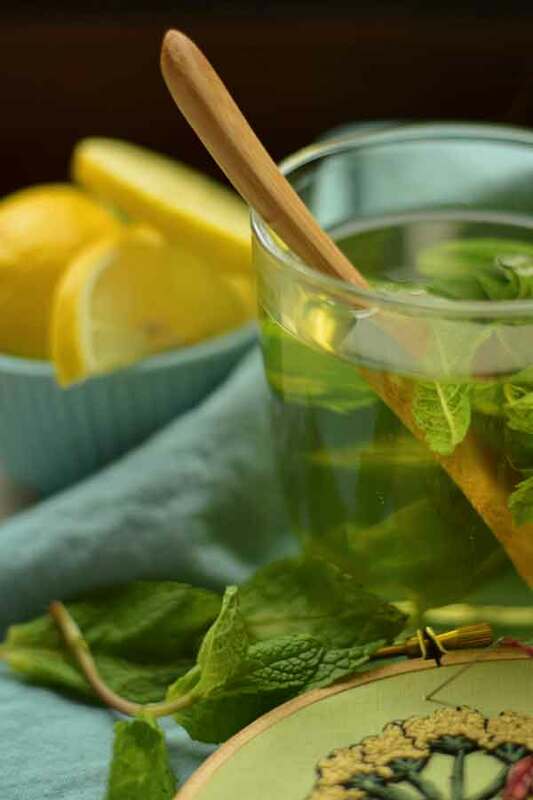 The next time you see a bunch of fresh mint, stop, close your eyes, and take a deep breath. I watched as she poured hot water over those green leaves, and the fresh scent bloomed in the air. Into a mug it went and, for a teeny kid who’d never had tea before—I felt decadent (almost sinful!) as I sipped on it! 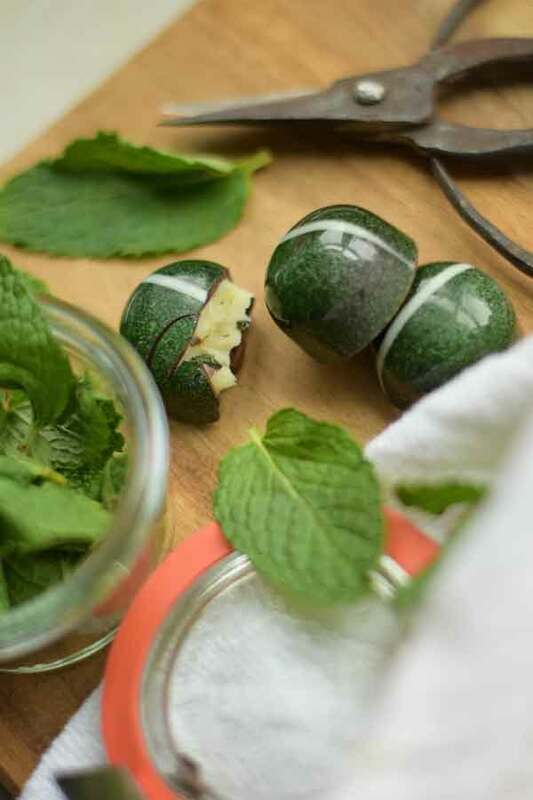 I nod to that technique every time I make my Mint Leaf bonbon. But rather than steeping mint leaves in water, I let them steep in rich, thick cream. Fresh mint leaves sprinkled throughout the ganache make this bon bon extra special. Once that cream has the perfect note of mint, I stir in my sweet white chocolate and make a creamy ganache. Then, to add a little more freshness (I’m good that way! ), I sprinkle in some freshly minced mint leaves, and finally, I pour that goodness into a dark chocolate shell. And yep, to this day, I still swoon over mint! This entry was posted in Flavor Spotlight and tagged chocolate inspiration, chocolatier, mint, white chocolate.